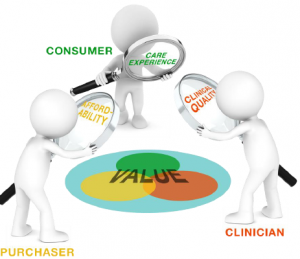 The future of health care faces challenges as fragmented patient care and uneven quality of care contribute to rising health care costs and excessive spending. For more than a decade, Mayo Clinic has anticipated and prepared for the confluence of these challenges that has arrived on our doorsteps today. Health care leaders throughout the country must manage these complexities in order to sustain their medical practices during this period of profound change and maintain excellence in our health care delivery system. Dr. Noseworthy explained how, in the midst of significant change, we need to forge a transformative path in order to provide a transparent, data-driven marketplace. He examined the nation's fragmented care, uneven quality of care, and excessive spending and provided several examples of how Mayo Clinic is creating value for patients and payers. Fragmented care: Mayo Clinic is developing a knowledge management system to digitize our knowledge, thus making it available to a wide audience including organization members of the Mayo Clinic Care Network. Uneven quality: Through the research efforts and practical applications of the Center for the Science of Health Care Delivery, Mayo is creating value-based outcomes in both medical and surgical specialties which ultimately provide better patient care at a lower cost. Excessive spending: Mayo is investing in excellence in patient care through its support of the Center for Regenerative Medicine, the Center for Individualized Medicine, and the Center for Innovation, and funding research. 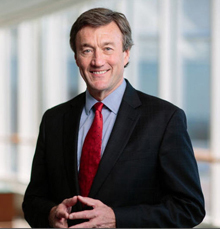 Please watch the video of Dr. Noseworthy's presentation to The Society of Neurologic Surgeons.